flora | Real in L.A. 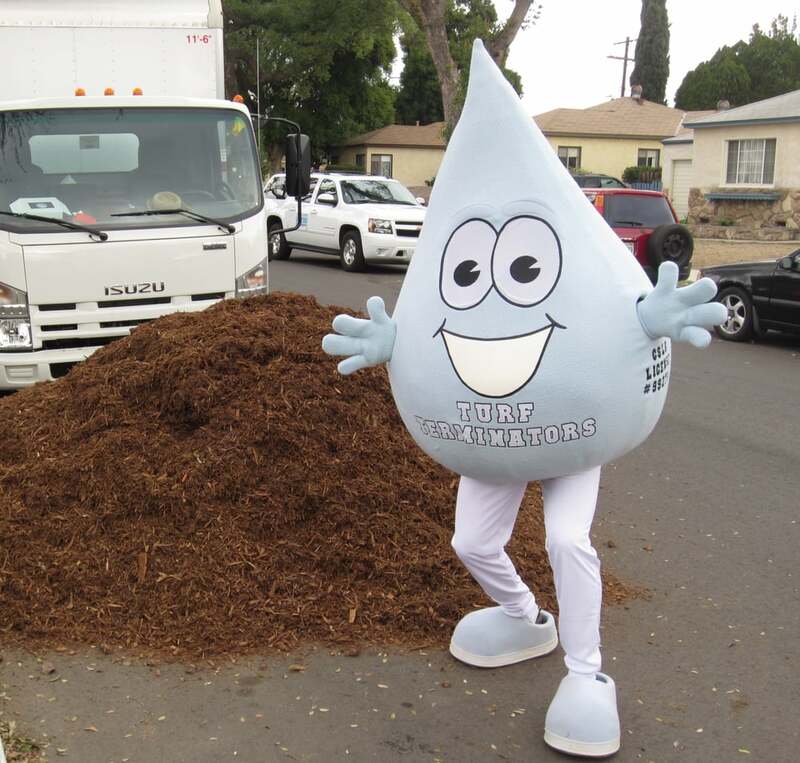 The L.A. Department of Water & Power and the Metropolitan Water District will pay you to get rid of it: $3.75 per square foot for the first 1,500 sq. ft, then $2 up to the maximum 3,000 sq. ft. A good deal for home owners and landlords who are tired of paying $4.83 for every hundred cubic feet of water (~750 gallons) to keep lawns green. 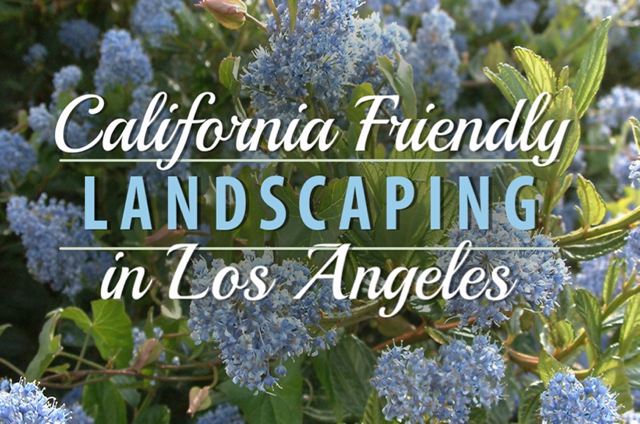 The one condition attached to the California Friendly® Landscape Incentive Program (yes, they’ve trademarked the term): Turf should be replaced with “water wise landscaping features.” Examples given are California-friendly plants, mulch, and permeable pathways. I’ve previously featured two exemplary Silverlake sites (here and here), completed when the rebate was a mere $1.50 per sq. ft.
Now comes Silverlake’s latest low-water entry: this multi-family dwelling on Armstrong Avenue. Its owner will get the rebate, I suppose, because the new landscaping technically meets the program’s requirements. It’s permeable and a rock lawn doesn’t need to be watered. 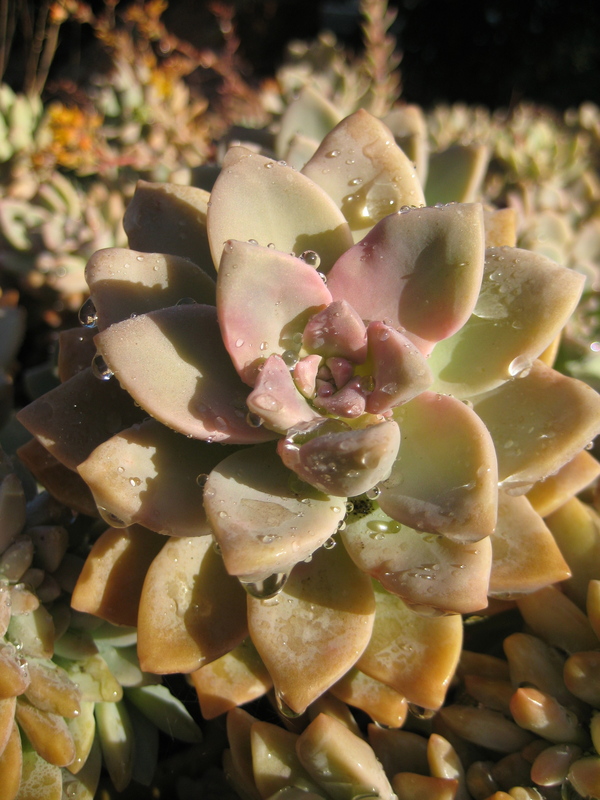 But a rock pile hardly adheres to the spirit of “California Friendly.” Water wise plants not only use little water, they convert the sun’s rays into self-nourishment and exchange CO2 –the dominant greenhouse gas–for oxygen. Instead of lowering temperatures as plants would, these rocks will absorb summer’s heat and radiate it long into the night, keeping ambient temperatures high. And unless these are very special rocks, they’re not going to supply us with oxygen. Gentle Reader, let design-impaired neighbors know that if they want to conserve water, they can simply turn off their sprinklers. 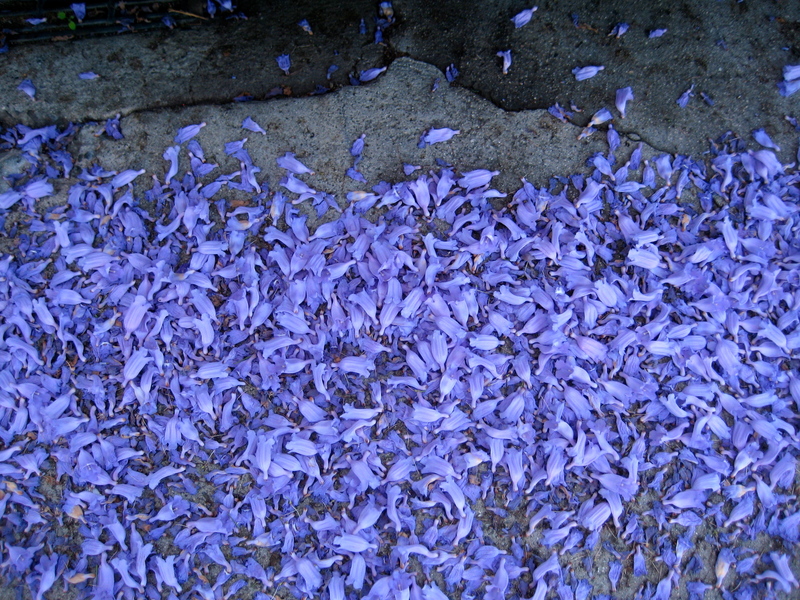 Tell them you’re okay with a brown lawn, which will, after all, revive during the next rainy season. Even Ezekiel, however, could not revive this pile of dry rocks. N.B. For a dry landscape alternative to Ye Olde Rock Pile, read this piece about Japanese kare-sansui by my friend Meher McArthur, Asian art historian/curator and blogger. 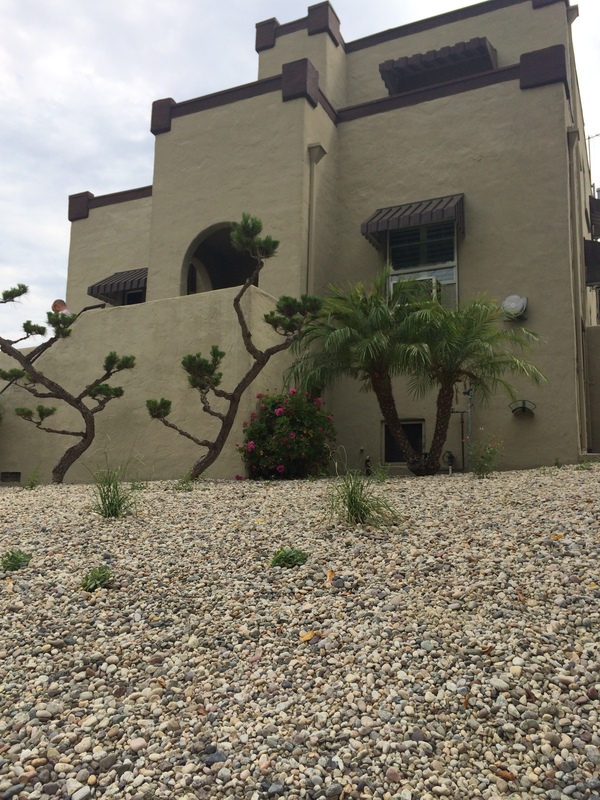 There’s a new entry in the low-water front lawn category, Silverlake Division. 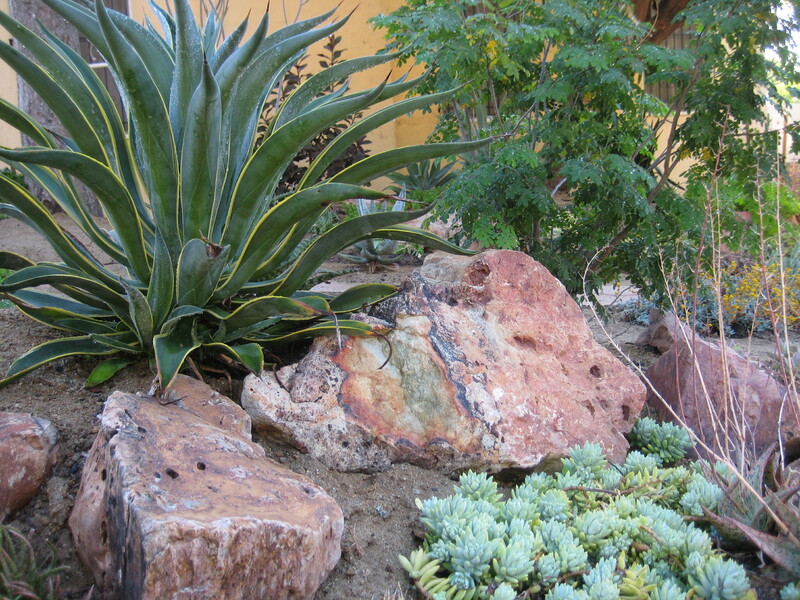 Our neighbor collected plants and rocks for three years, then spent months placing them just so. It’s a wide-ranging collection of shapes and sizes and every day –and at different times of day– the garden appears altered. Thank you, Allie & Eddy. 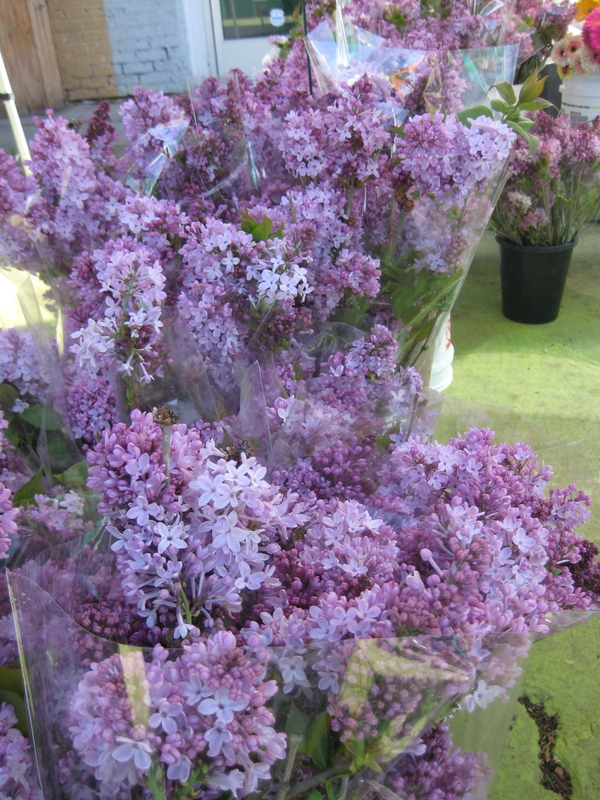 It’s been lilac season and flower vendors have been bringing great purple armfuls to the farmers’ markets. 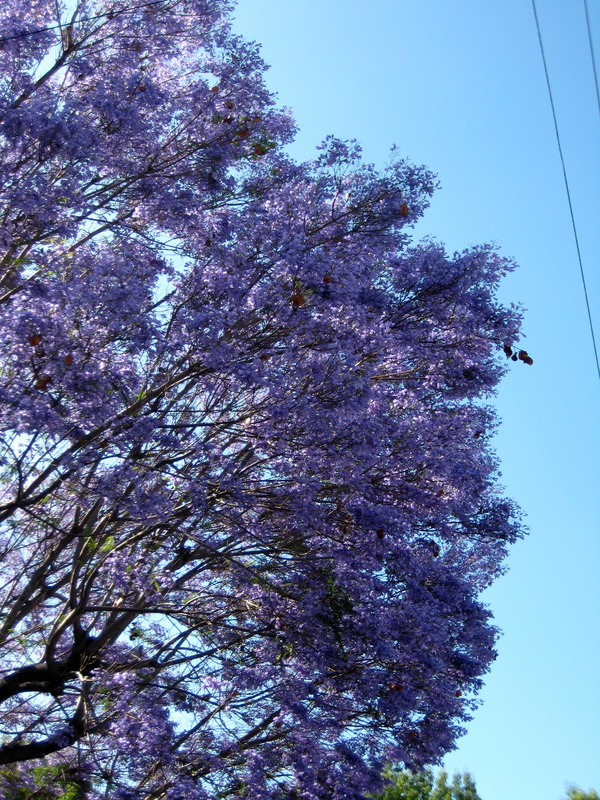 Like daffodils and tulips, lilacs need cool weather to thrive; in L.A., they’re an exotic shrub, just as birds-of-paradise are back east. Most of what’s sold here come from high elevations—places like Tehachapi, where apples and stone fruits also grow well. 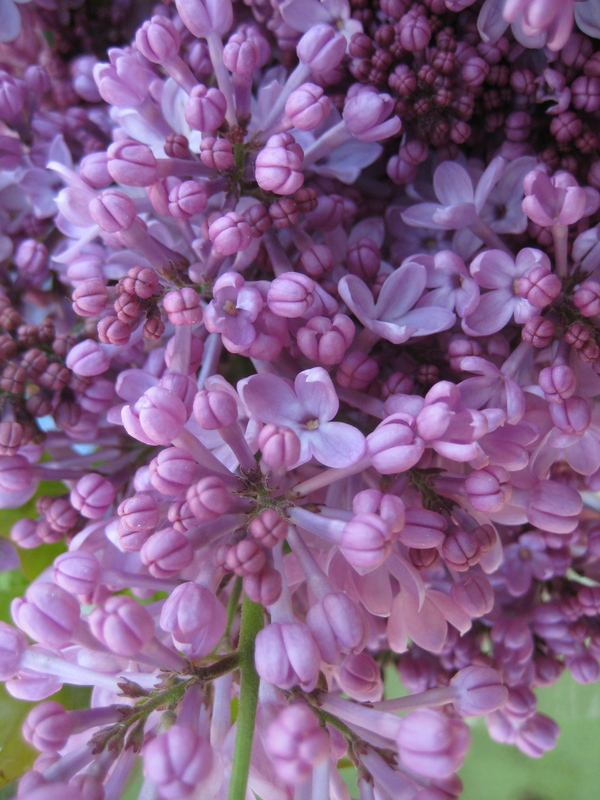 Whenever I see bunches of lilacs, I sink my face into the blossoms and inhale deeply. They’re frightfully expensive, so their scent is all I can afford to take away with me. 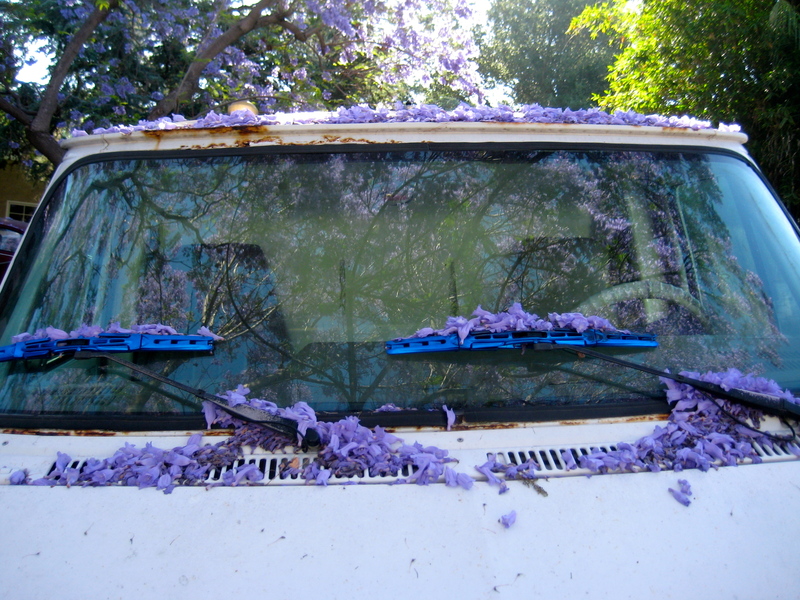 That and memories of growing up in lilac territory. When lilacs appeared, we knew that spring had taken hold at last. Lilacs, sweet gum seed pods—it’s remarkable what can evoke memories, which, in turn, so easily engender nostalgia. And a weighty sense of loss. 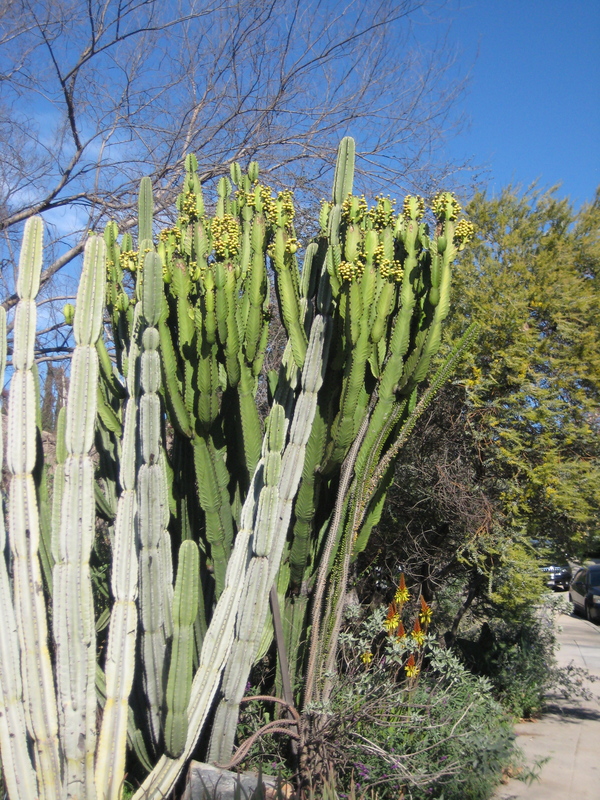 The move to native plants appears to have leveled off in Silverlake. There are still too many rose beds and banks of English ivy. Grassy lawns abound despite the turf removal program offered by Metropolitan Water District: $1.50 for every square foot of grass replaced. 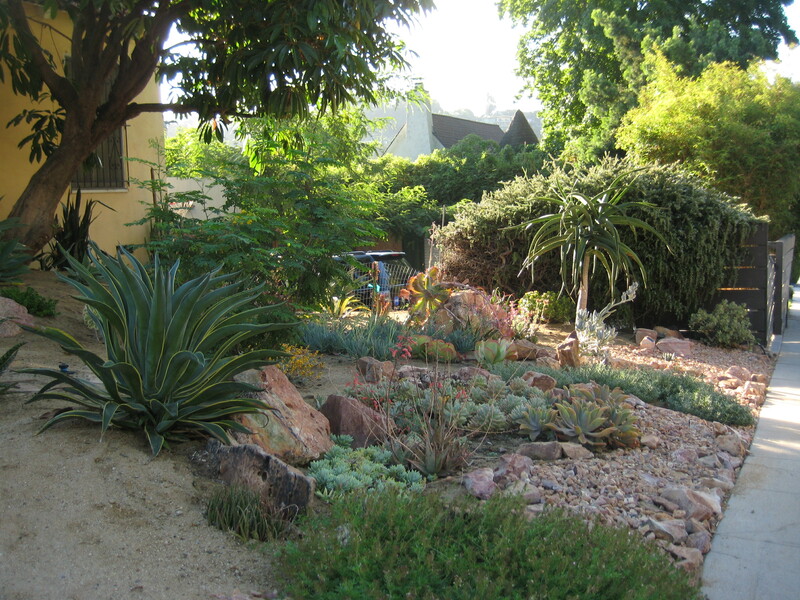 But on a block-long side street less than 100 steps from the walking path you will find the ultimate native garden, a model for how to go native and not rely solely on century plants (Agave americana) and crushed rock as so many do. I think of this garden as native planting in the English tradition. 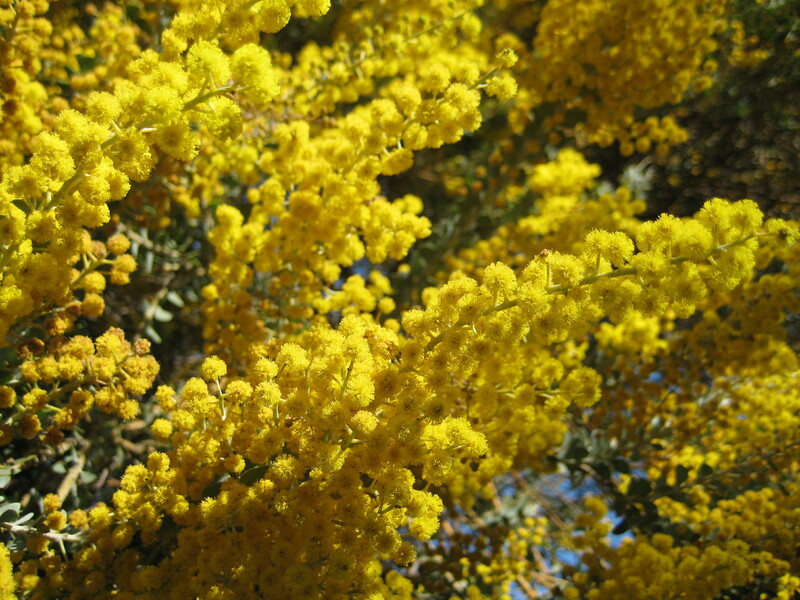 You know how their gardens burst with blooms, seemingly growing of their own free will? Only they’re carefully planned–planned to look casual, which is hard to do! There’s one of everything in this garden, well spaced and carefully placed. 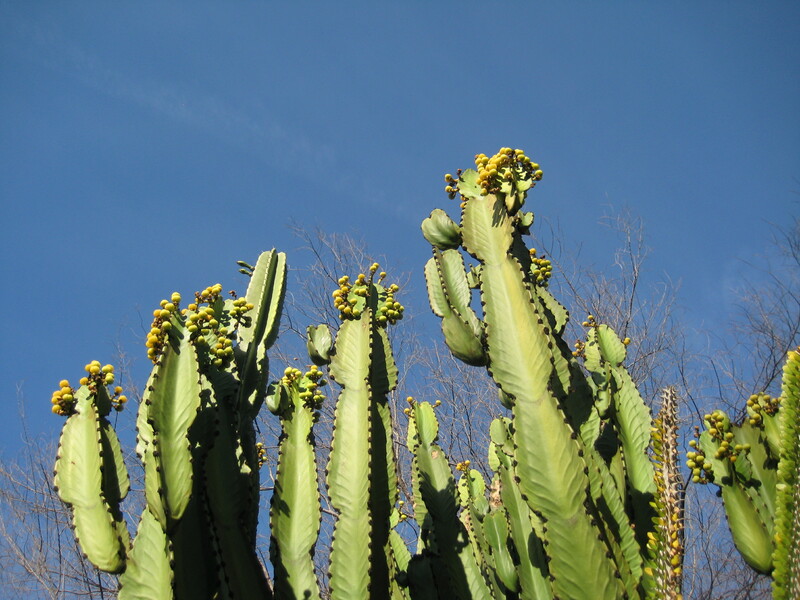 Though it looks like an oasis you might stumble upon, I don’t think you’d find all of these plants together. Yet it looks natural. 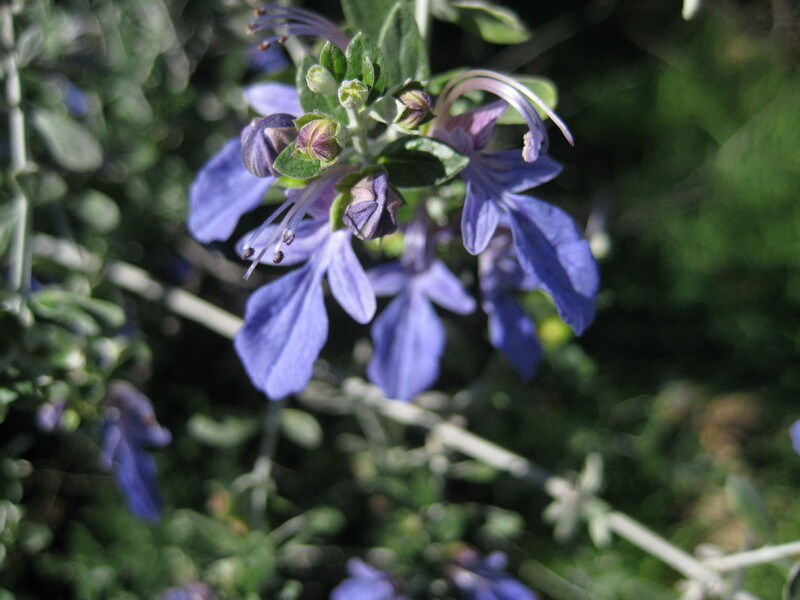 Alas, what I cannot convey is how wonderful the plot smells when plants are blooming, especially after rain. 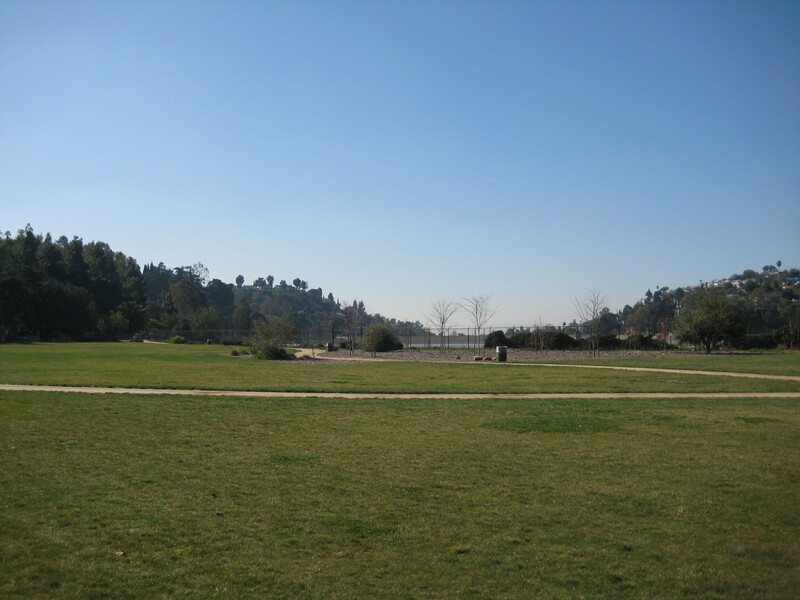 For that you’ll have to find Lakeview Terrace West and visit it yourself. Okay, I admit it: I was wrong. True enough: Everyone had their stories about seeing coyote kits gamboling in the field or coyotes slipping underneath the fence or coyotes sitting placidly inside the fence watching us watching them. I liked having fallow, open space unsullied by humans. 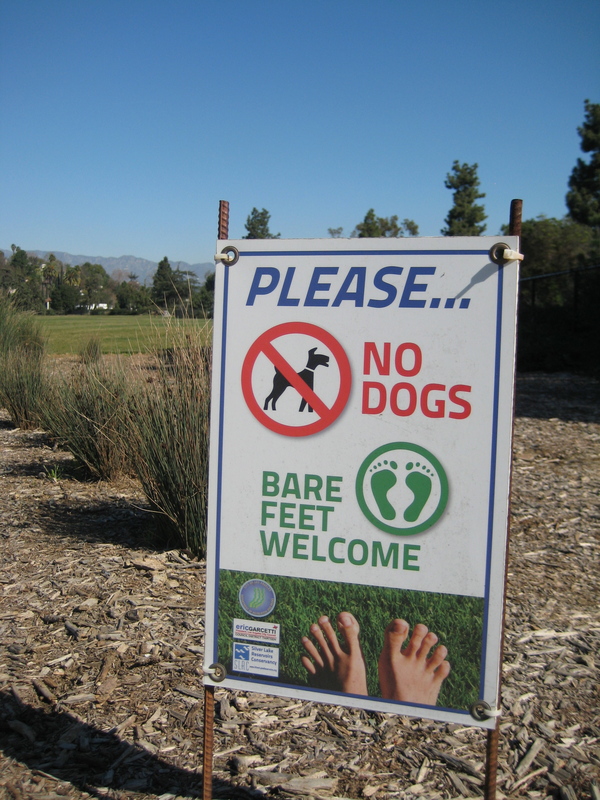 I worried about increased human-coyote contact if coyote habitat were curtailed. I didn’t relish more traffic and parking hassles. I envisioned pedestrians attempting to cross Silverlake Boulevard and being mowed down by cars. The community split: You were either “Open the Meadow!” or “Save the Meadow!” The issue became so contentious that a Saturday morning public meeting held on the contested property drew more than 150 people. The “open” folks claimed that the park would be a quiet place, “you know, where people come to sit and read poetry” (actual quote). Traffic? No problem: Visitors will come from the neighborhood; they’ll walk, not drive. Nonresidents told us that if we didn’t open the land, we were being selfish. They said just because you have backyards for your kids to play in ( I don’t), doesn’t mean the rest of us shouldn’t have more space. The openers won. Existing fence was torn down and moved closer to the reservoir itself. The walking path was relocated. 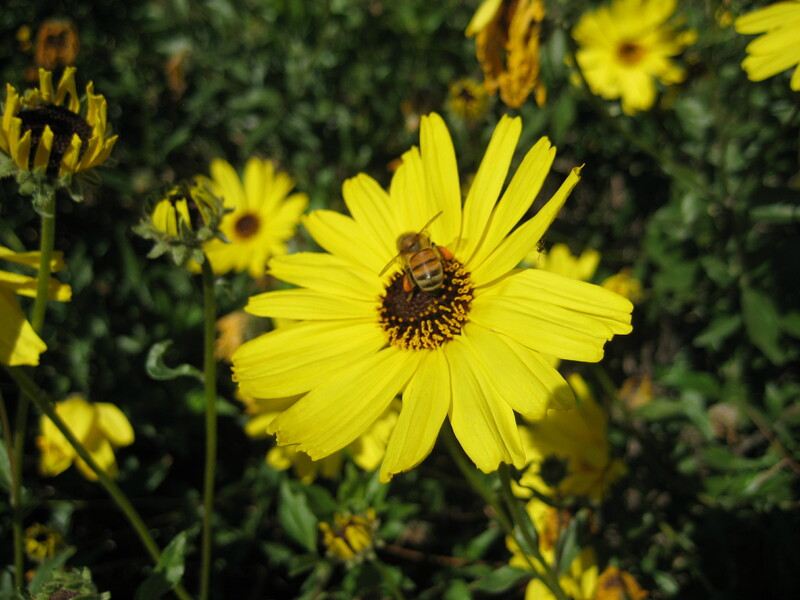 Non-native plants were excised, trees planted, and sod laid. After more than a year of work, the Meadow (it now required capitalization) was opened with great fanfare. I did not attend the ceremonies. I couldn’t boycott the place forever, though. Several weeks following the opening, I walked through the Meadow; young parents with a toddler sat on the grass as their child ran free. Then, I “got it”: A vast expanse of open lawn safely enclosed by a low fence where no dogs were allowed was just what city kids needed. Where else could you fly a kite? Where else could you lie back and watch clouds sailing by? Where else could you call up a few friends and hold an impromptu picnic? Maybe some folks even go there to read poetry. The Meadow is not problem free. Traffic has increased and parking is at a premium. A strategically-placed crosswalk cuts down on—though does not eliminate—jaywalking, but the crosswalk’s traffic light ruins the view of Richard Neutra’s VDL House. Even so, I don’t mind being wrong when the outcome is so right. 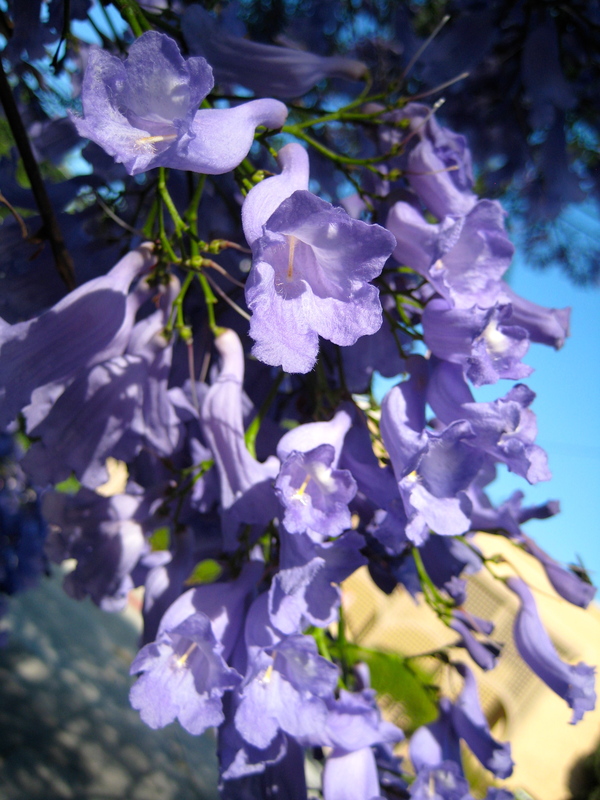 You are currently browsing entries tagged with flora at Real in L.A..